name to Polaris bank. The Central Bank of Nigeria has implored all the panic customers of former Skye Bank now Polaris Bank, not to fret as their money in the bank is safe. 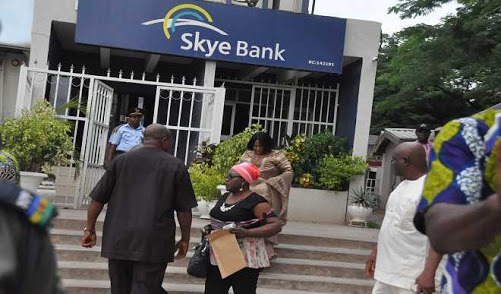 Yesterday evening, the apex bank revoked the license of the former Skye bank. He announced that the Cental bank had injected N786 billion into the bank to return it to soundness and profitability. In a statement released on Friday, the apex bank says the former Skye Bank which would now be known as Polaris Bank will continue banking activities in all branches of the former Skye Bank on Monday September 24th. “We wish to assure all depositors that under this arrangement, their deposits shall remain safe and that normal banking services shall continue in the new bank on Monday, 24th September 2018, to ensure customers to transact their businesses seamlessly,” CBN said.